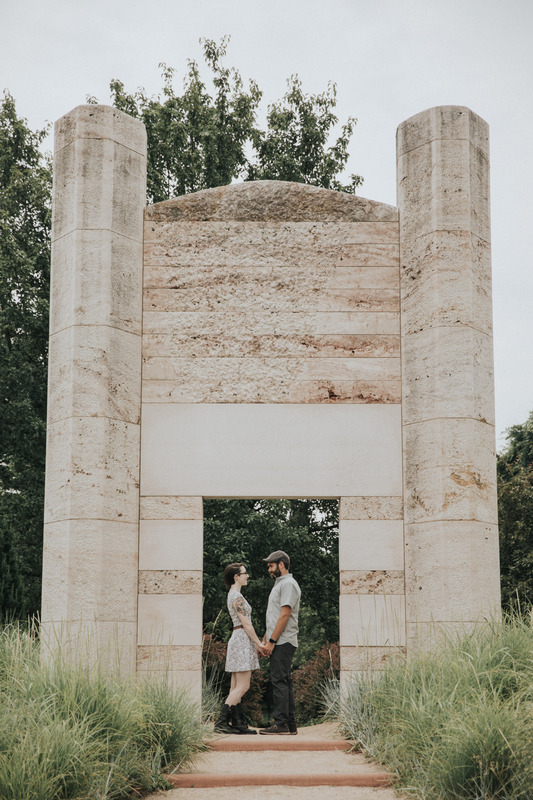 We had an amazing morning capturing this engagement session while exploring the vast art collection housed within Grounds for Sculpture located in Hamilton, NJ. 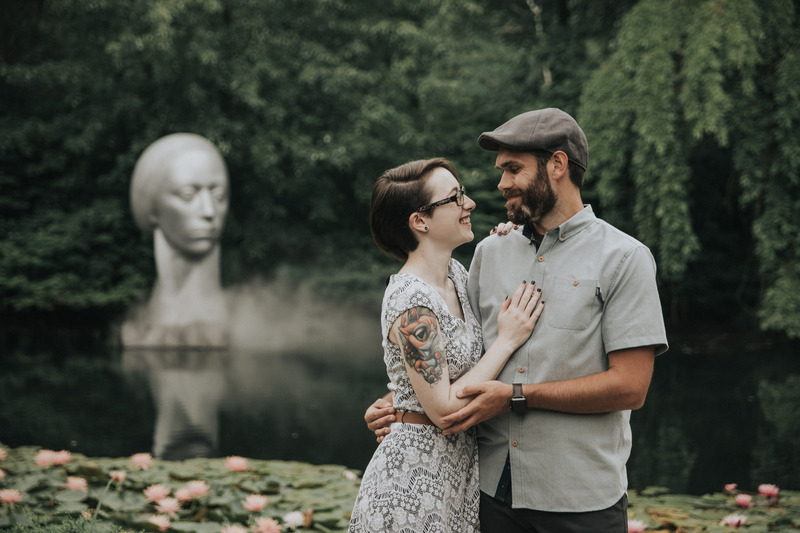 With stunning landscaping and hundreds of sculptures spread throughout the park, there are endless possibilities to create unique photographs with a look that is nearly impossible to find anywhere else. 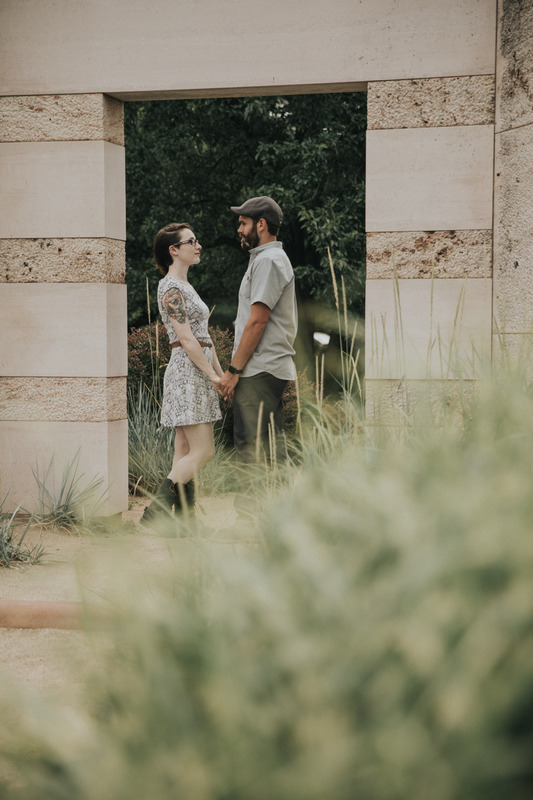 With such a vast space, we went with the flow and wandered amongst the various paths that wind throughout the preserve while just occasionally referencing a map as to not to too lost. 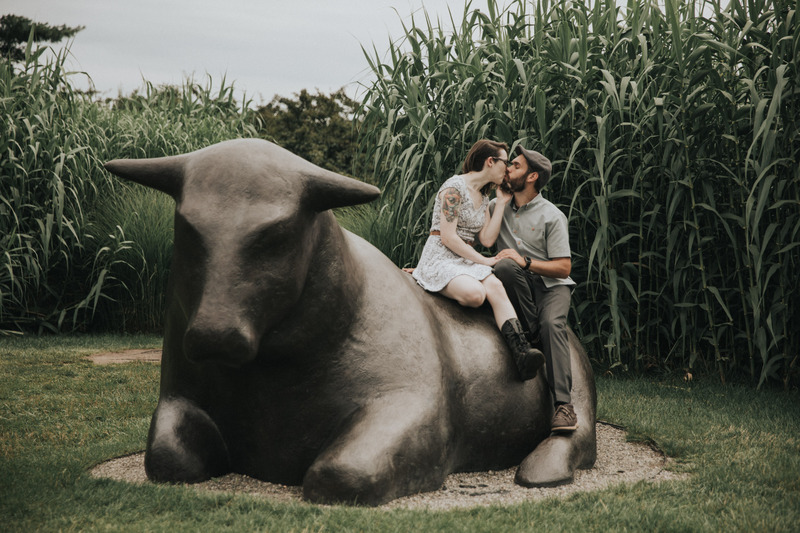 On our journey this summer day, we discovered a stone giant emerging from the ground, a larger than life cows perfect to climb on, braided wooden arch ways, a renaissance couple frozen in time, musical seesaws, a levitating head in foggy pond, a corn field, and so much more. 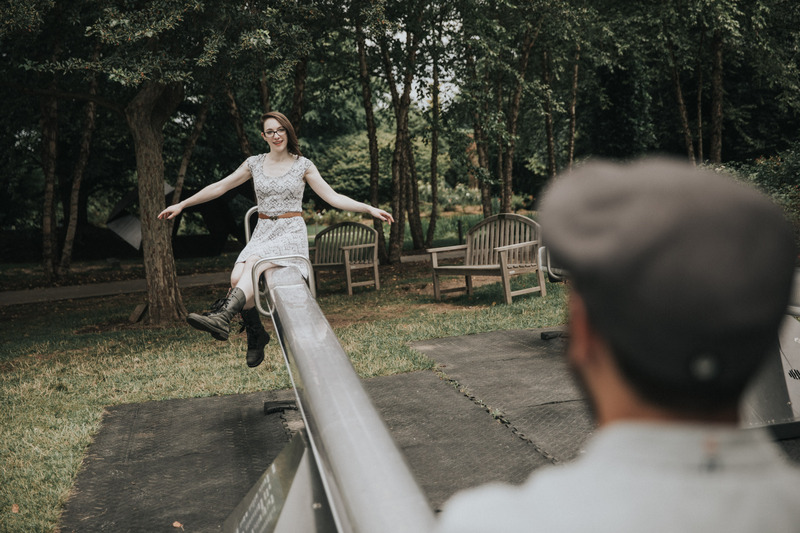 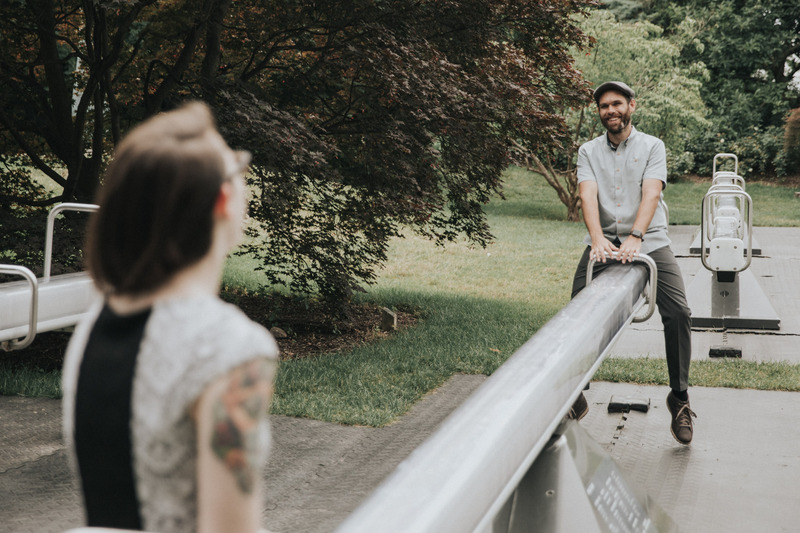 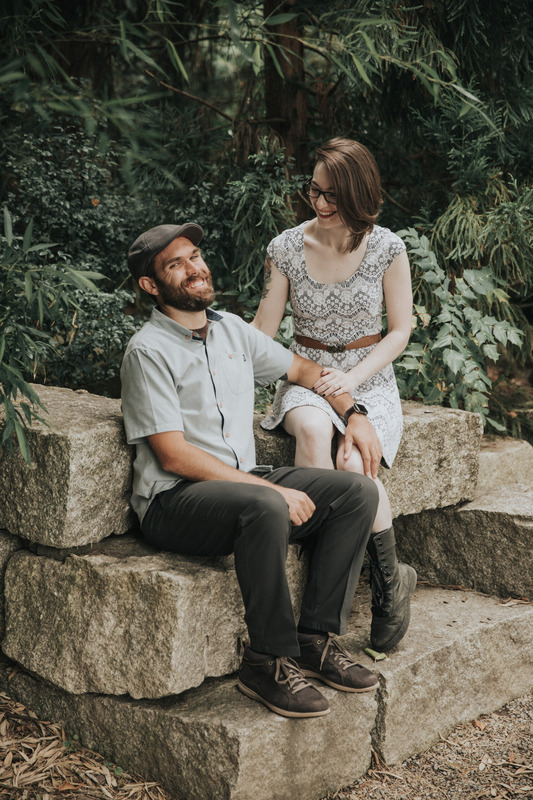 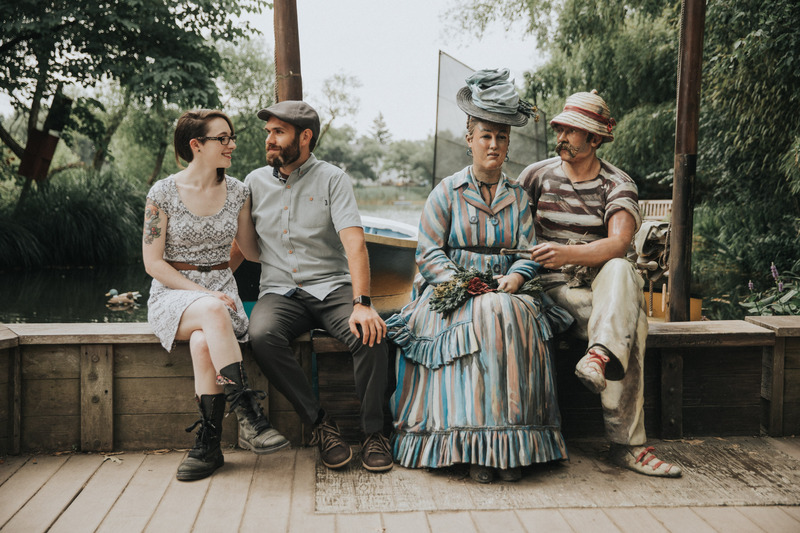 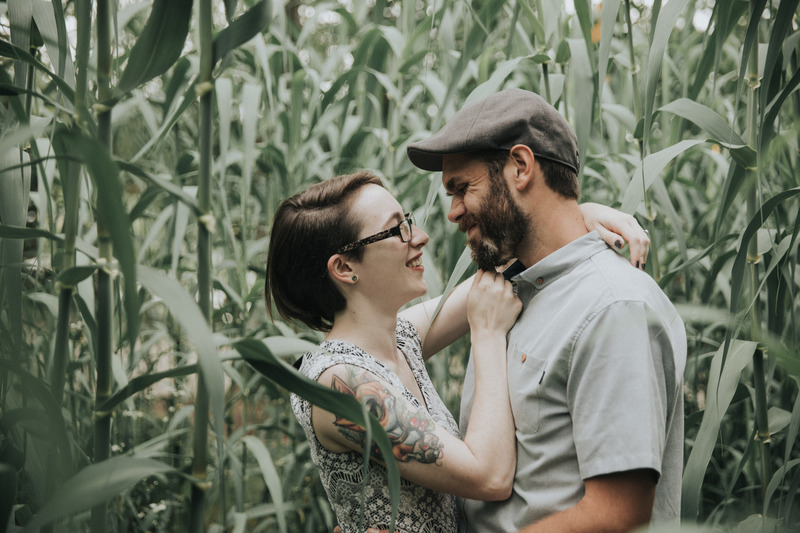 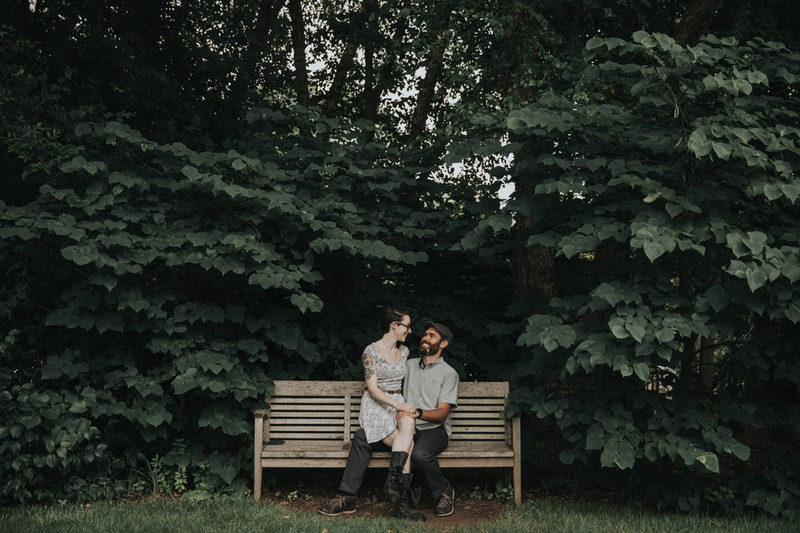 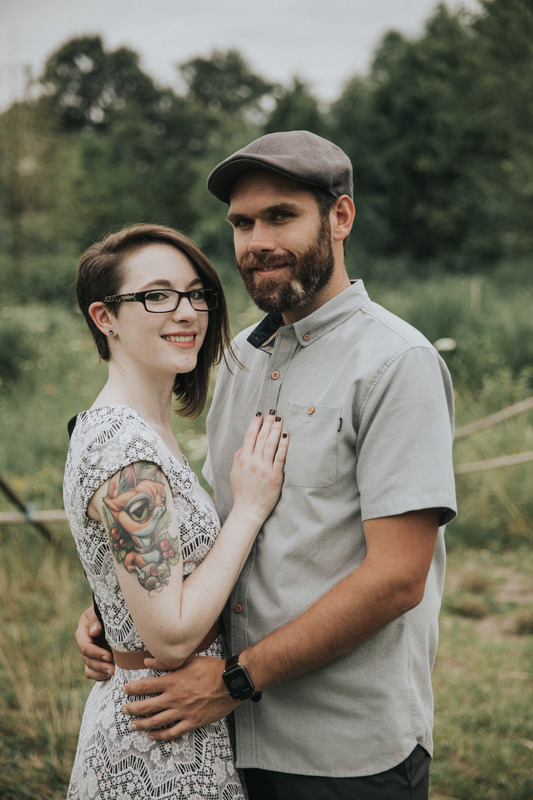 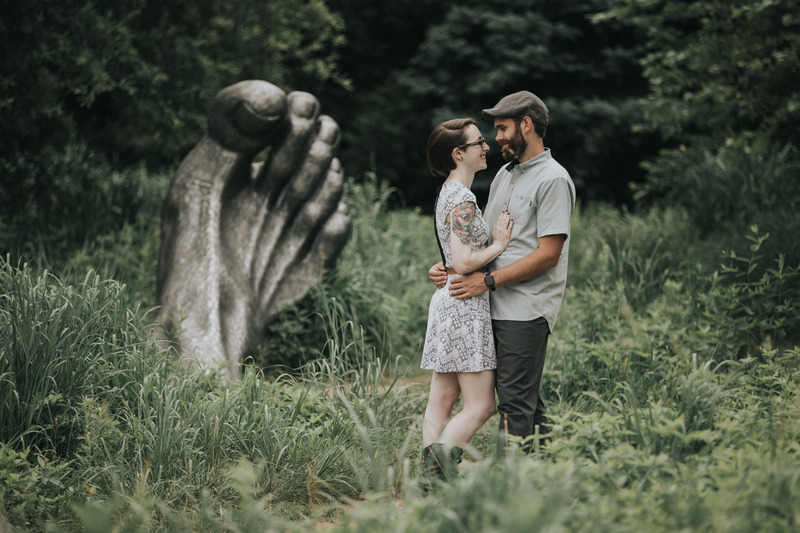 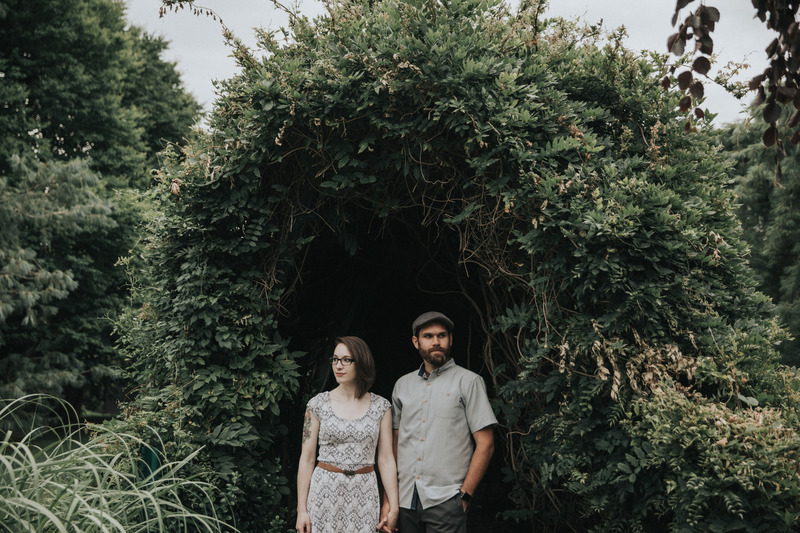 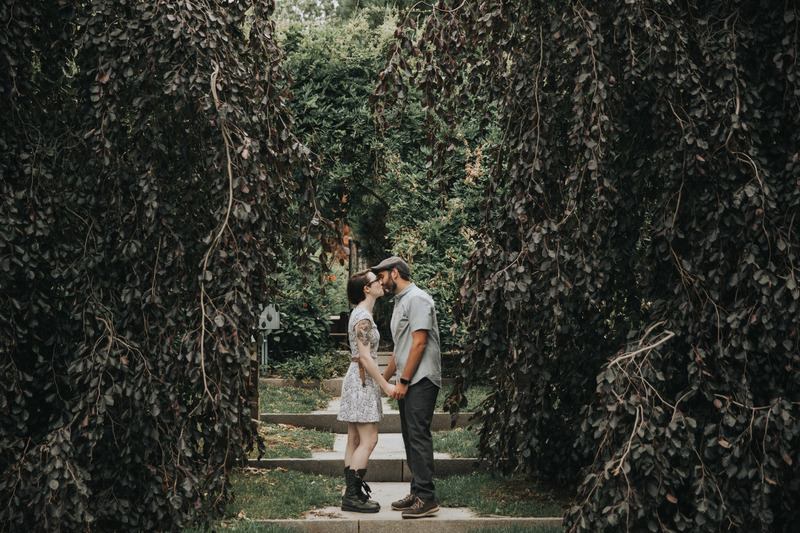 We highly recommend using Grounds for Sculpture is the perfect place for an engagement session for anyone that loves both art and nature or who just wants a unique twist. 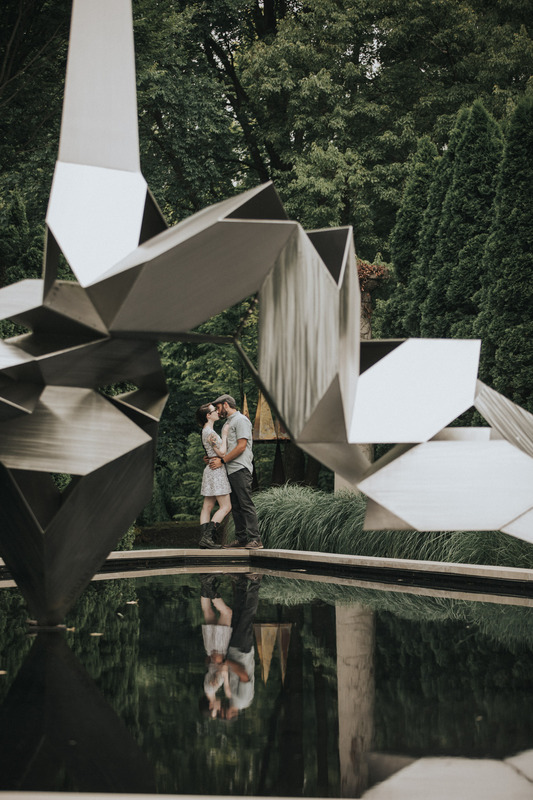 Sayen Gardens does require an entrance fee to enter, but we believe it is well worth the price. 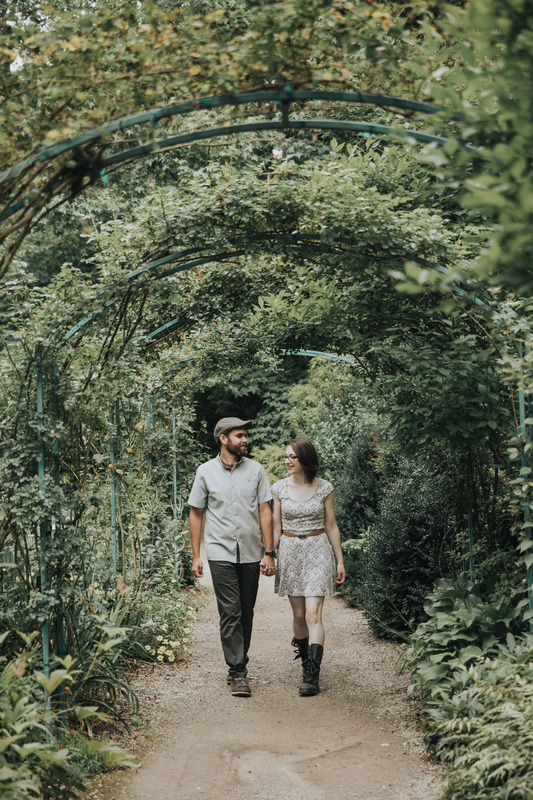 Even after the photography is over, you can easily spend the entire day admiring the art and other hidden gems spread the grounds and enjoy lunch at one of the cafes. 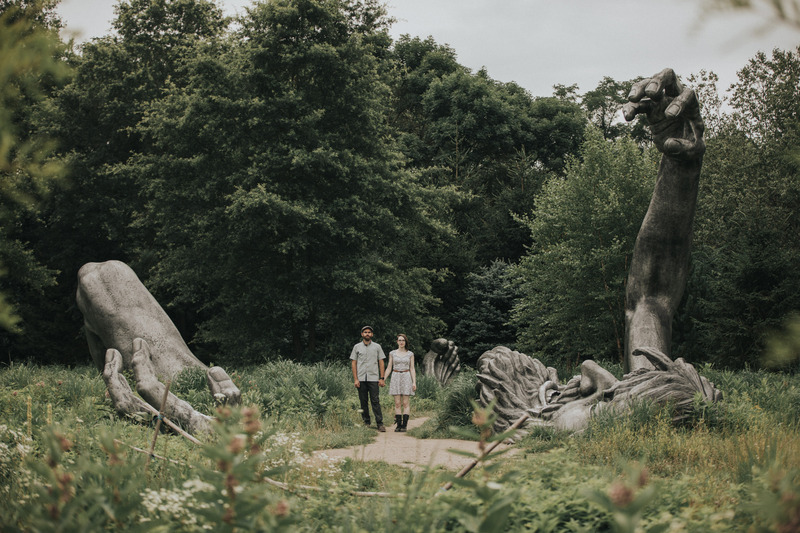 The gates are open from 8 AM to 6 PM year round, but we definitely recommend a week day session as weekends do get busy. 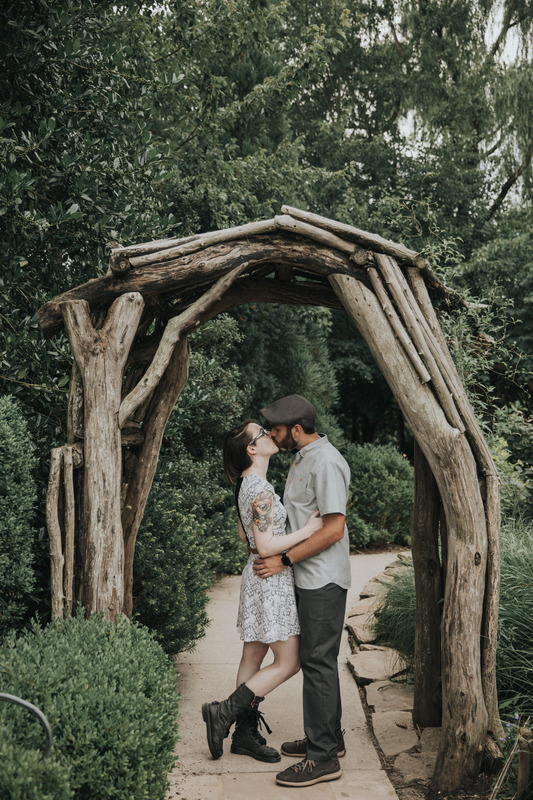 If you are looking for engagement photographer or a wedding photographer, Contact Us today for more information on what we offer or to book a session! 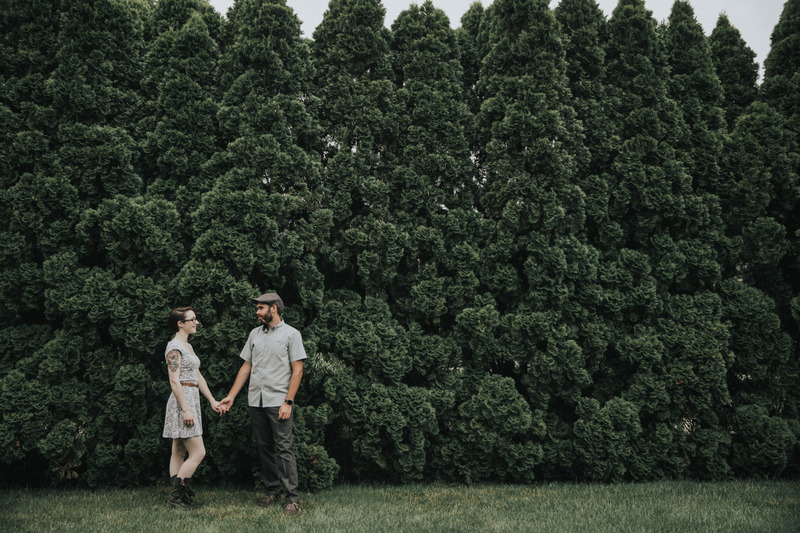 One of the best locations for a Mercer or Monmouth County Engagement Session.